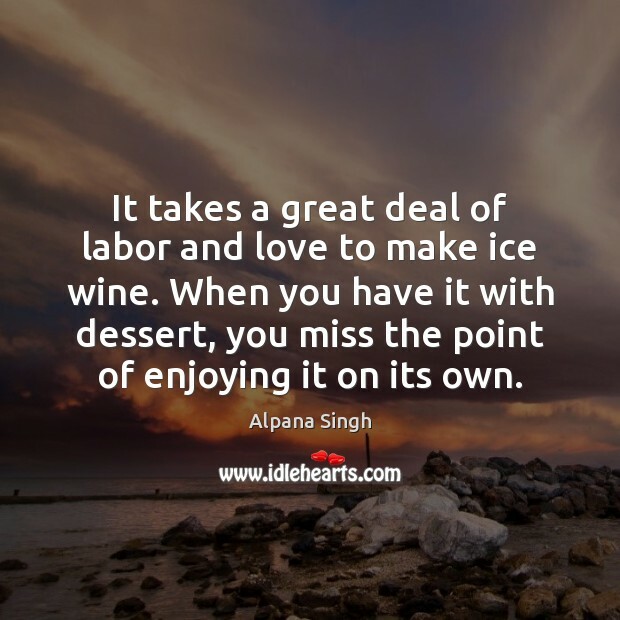 Enjoy the best inspirational, motivational, positive, funny and famous quotes by Alpana Singh. Use words and picture quotations to push forward and inspire you keep going in life! When I was dating and the wine list was presented to my male companion, I tried to ignore this unfortunate faux pas. 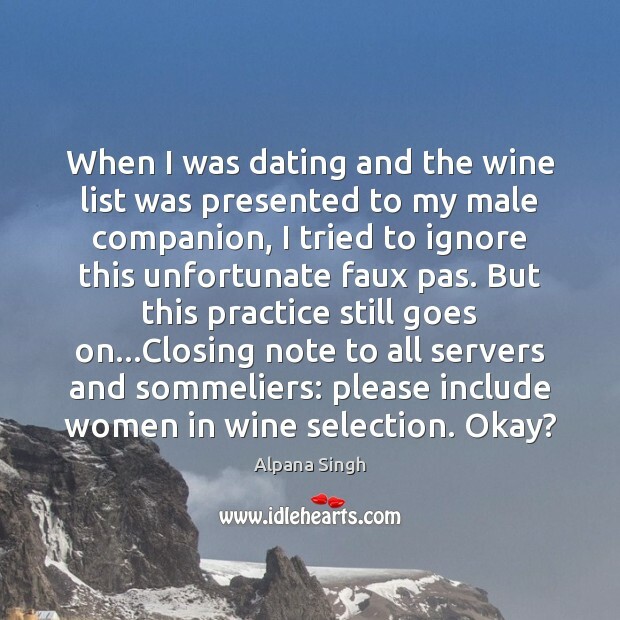 But this practice still goes on...Closing note to all servers and sommeliers: please include women in wine selection. Okay?